Google is on a run to increase its retail search traffic and advertising revenue and for the same, they are adding ‘buy’ buttons for the search results available over mobile devices. The users can see the buttons in paid search results under a heading named “Shop on Google” that rests at the top of page. The ‘buy’ button would however, be visible only for the sponsored ads. Unpaid results or say when users are searching through desktop, the ad would not appear. The button would work in a way that when the shoppers click over the buy buttons, they would be directed to a product page on Google. Over the page, they get to choose the exact product sizes, colors and shop while completing the purchase. Google will also be store the credit card information and automatically fill it for future transactions, only if the customer is ready to offer details regarding the same. It looks like Google is trying well to position itself as an online marketplace such as Amazon by letting the shoppers save their payment data and offering a hassle free buying process. But, the only hurdle in this process is how would Google manage the after purchase needs of customers such as refund or return. The Wall Street Journal has reported that Google will be paid by the retailers as per its existing advertising model, which is unlike what Amazon does as by charging a part of the sales price. Looks like Apple is gearing up for giving Google Maps a clear competition. 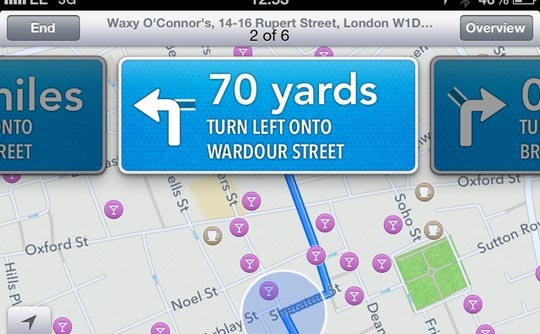 As per the reports, Apple has bought the GPS software company Coherent Navigation in order to boost Apple Maps’ location and mapping capabilities. If you remember, Apple is the brand that in past failed to deliver the desired results back in time. The journey of Apple’s mapping business came to a halt with problems and inaccuracies at the time of launch. To which, the firm reacted by apologizing and suggesting the customers to use alternatives such as Google Maps. The first one to come up with the news was the MacRumours website. They reported that in past few weeks some senior Coherent Navigation staffers left the company for Apple and the company has closed down its website. Also, the domain name now points out to Apple’s servers. Further, the Linkedin page of former CEO of Coherent Navigation, Paul Lego, states that he is working at Apple since January 2015, listing himself as “Member of Apple Maps Team”. 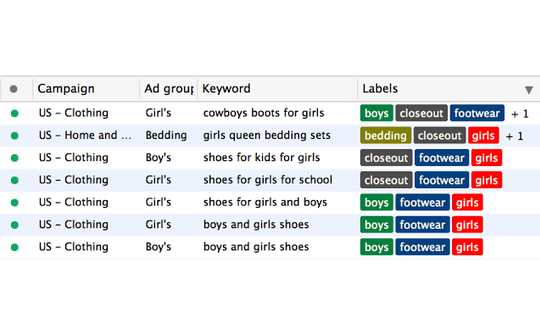 Google has officially made a worldwide update of AdWords Editor. This update offers support for labels, upgraded URLs, call-only ads, in-app mobile ads, and custom affinity audiences. As per the statement released over AdWords blog, the decision for adoption of custom labels was taken as a result of the user feedback. In the custom labels, you would see descriptors for campaigns and keywords. The labels could be created and edited through the Labels tab under the Shared Library in AdWords Editor. The businesses can now sort audiences based on parental status, gender and age and other demographics for better targeting. Features such as upgraded URLs have been around for quite a while, but since Google has asked all the AdWords users to use upgraded URLs by July 1, support for the system has been added directly in AdWords Editor. 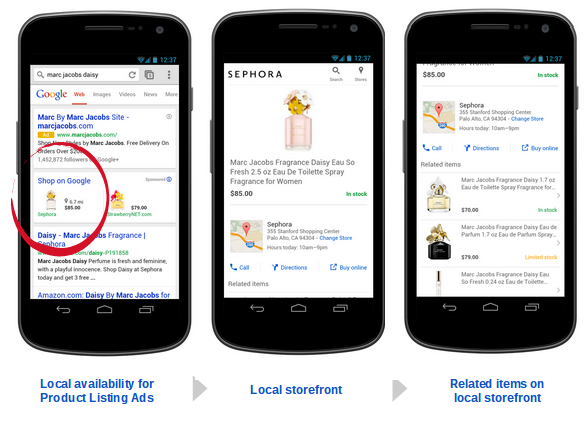 Google also lets the users target ads in mobile apps based upon categories like games or apps. Bing has come up with a new Ad tool called Campaign Planner that helps in sorting marketplace data into verticals, sub-verticals, and product types. This would help the advertisers in understanding the competitors and evaluate the ad campaigns against industrial benchmarks. Advertisers can also use Campaign Planner to target audience. 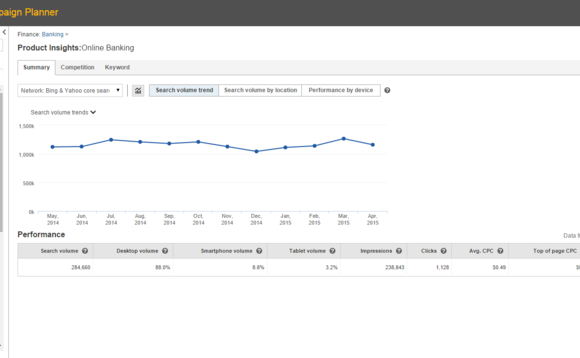 With the help of a vertical drop-down menu you can see the insights using specific metrics that includes search volume, average CPCs and device performance. 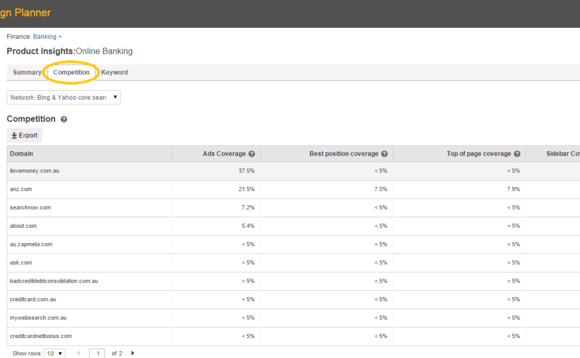 Under the Keywords tab, you can have a look at some of the most popular keywords along with the total impressions, average CPCs, CTRs, and search volume for each keyword. In the Favorites folder, you can save the frequently-assessed products, this way they will appear at the top of every page each time they log in to the Campaign Planner.